A judge on Thursday acquitted three Chicago officers of trying to cover up the 2014 shooting of Laquan McDonald, dismissing as just one perspective the shocking dashcam video of the black teenager's death that led to protests, a federal investigation of the police department and the rare murder conviction of an officer. In casting off the prosecution's entire case, Judge Domenica Stephenson seemed to accept many of the same defence arguments that were rejected in October by jurors who convicted officer Jason Van Dyke of second-degree murder and aggravated battery. He is scheduled to be sentenced Friday. McDonald's family questioned how the two cases could produce such different decisions. His great-uncle, Rev. Marvin Hunter, told reporters that the verdict means "that if you are a police officer you can lie, cheat and steal." "To say that these men are not guilty is to say that Jason Van Dyke is not guilty." He added: "It is a sad day for America." In her ruling, the judge rejected prosecution arguments that the video demonstrated officers were lying when they described McDonald as moving and posing a threat even after he was shot. Prosecutors alleged that Gaffney, March and Walsh, who was Van Dyke's partner, submitted false reports about what happened to try to prevent or shape any criminal investigation of the shooting. Among other things, they said the officers falsely claimed that Van Dyke shot McDonald after McDonald aggressively swung the knife at the officers and that he kept shooting the teen because McDonald was trying to get up still armed with the knife. It was McDonald's refusal to drop his knife and other threatening actions that "caused these officers to see what they saw," March's attorney, James McKay, told the court. "This is a case about law and order [and] about Laquan McDonald not following any laws that night." 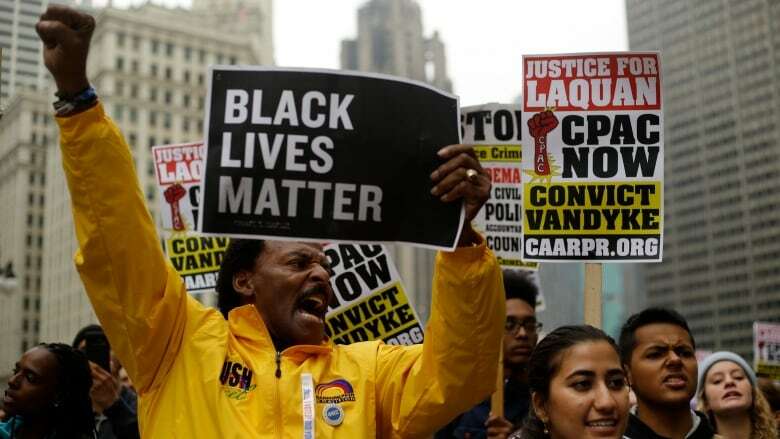 The accusations triggered a federal investigation, resulting in a blistering report that found Chicago officers routinely used excessive force and violated the rights of residents, particularly minorities. The city implemented a new policy that requires video of fatal police shootings to be released within 60 days, accelerated a program to equip all officers with body cameras and adopted other reforms to change the way police shootings are investigated.